After trying to decipher cryptic clues as to when Microsoft may release the Xbox One by trying to predict games release dates, Microsoft has finally given gamers a date to look forward to for the Xbox One, for it will be released on November 22nd 2013. Having already announced the price tag of $499 back in June, the Xbox One was just missing its launch date, but that’s now confirmed so everyone can begin to take those days off work to sit in a dark room and turn your brain to mush. The Xbox One will launch in just over two months time in 13 countries: Australia, Austria, Brazil, Canada, France, Germany, Ireland, Italy, Mexico, Spain, United Kingdom, the US, and New Zealand. 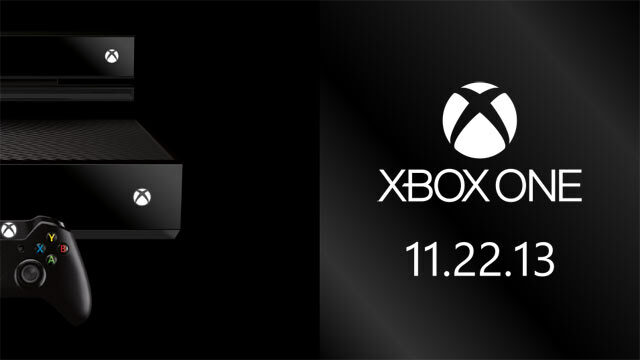 Today we areannouncingthatXbox One will be available on Friday November 22, 2013 in all 13 of our initial launch markets – Australia, Austria, Brazil, Canada, France, Germany, Ireland, Italy, Mexico, New Zealand, Spain, UK, and USA. Many more markets will follow in 2014. Microsoft has delayed the launch of the Xbox One console in eight European countries and won’t see a launch until 2014 – these are: Belgium, Denmark, Finland, Netherlands, Norway, Russia, Sweden, and Switzerland. The reasoning is still relatively sketchy, with Microsoft citing “many factors” behind the delay, including localized Xbox One dash support, additional voice and languages, and partnerships for apps in each country. Still, for those of us in a country where it is launching, the device will cost $499, be bundled with the console (obviously), a single controller, a Kinect, and a Chat Headset. So far there are 23 launch titles including Fifa 14 and Forza Motorsport 5. Sony have scheduled the release of their Playstation 4 console on November 15th for the US and November 29th for Europe, so Microsoft have positioned their Xbox One launch right in the middle – good plan, let’s see what affect that has on sales, if any. Have you got your Xbox One on pre-order?